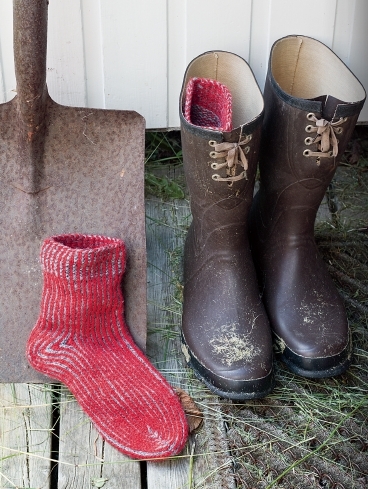 Nina Granlund Sæther is back with this brand-new sequel to Mittens from Norway. 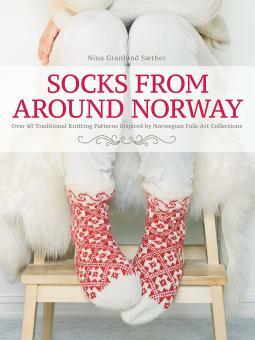 Discover sock designs based on traditional Norwegian patterns and techniques from all across Norway and learn the fascinating stories behind them. The book includes a captivating collection of archive images that the author has lovingly collated from museums all over Norway, and the contemporary interpretation of each design is accompanied by a fascinating account of the story behind it. There are over 40 projects to choose from, for men, women and children, and all include clear instructions, charts and stunning photography. 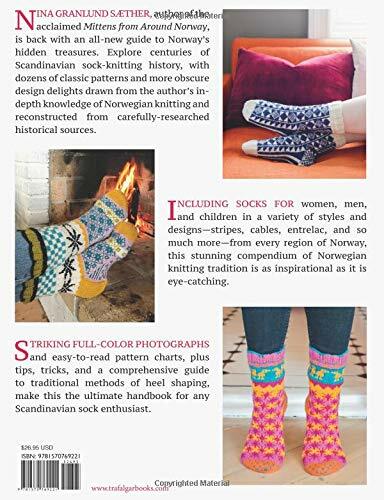 In addition, there is advice on different sizes and yarns, along with six alternative ways to knit heels and toes. 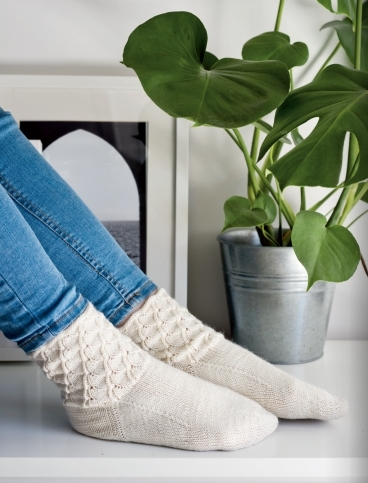 Whether you choose to knit your way around Norway or make a single pair for yourself or for a special person, these socks are quick to knit, are wearable all year round and are stunning, heritage garments that will last you for many years to come.